High-quality Leather & Suede Upholstery Cleaning UB6 West Drayton | RDA Cleaning & Maintenance Ltd.
With more than 8 years of service and experience we can guarantee you the best professional upholstery cleaning West Drayton UB6 services! Our skilled upholstery cleaners can cope with over 20 kinds of upholstery providing you great results in any case. To remove unpleasant odour, stains and freshen the look of your upholstered furniture, call RDA Cleaning & Maintenance Ltd. at 020 3404 1646. Hire an expert home and office cleaning company now and enjoy a discount when you get more than one of our treatments at once. We require no deposit for booking us, nor will we charge you extra for weekend and bank holiday appointments! Sofa And Chair Cleaning West Drayton UB6 Performed Without Flaw! RDA Cleaning & Maintenance Ltd. aims to maintain high-quality chair & sofa cleaning West Drayton UB6 services to our customers. Our business model allows customers to easily book whatever they need. In addition to that we keep our cleaners to the same standard of both work ethic and technical ability. Each team member has been trained by Prochem in a rigorous 1 month long training seminar. When it comes to cleaning supplies we also take the extra mile and provide only the best in detergents and cleaning supplies. All is supplied by Prochem, we use 100% bio-degradable detergents which allows us to safely clean both homes and offices. We take care of your safety when cleaning, so you don’t have to think about it. On the upholstery cleaning market we are mostly famous for the almost entirely positive feedback we receive for our services. In addition to this, RDA Cleaning & Maintenance Ltd. can brag about a thousand new satisfied customers per year. About 80% of them come to us due to a recommendation given by other happy clients. All our upholstery cleaners West Drayton UB6 follow a strict eco-friendly policy and we never apply products that can harm the environment, your living space, kids or pets. Our high quality upholstery cleaning services are available for both: business and domestic needs. Landlords and real estate agencies can also take benefits of our expert assistance! We work hard and we never leave a place with unfinished job. It is cheap to keep your upholstery fresh with us. 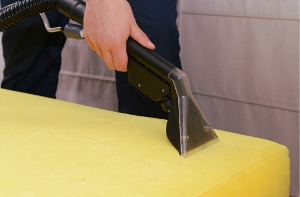 Give us a call at 020 3404 1646 if you want a trustworthy professional upholstery cleaning West Drayton UB6 company to help you out with your cleaning tasks. Our phone is 020 3404 1646 and we are at your disposal at any time of the day, 7 days a week.